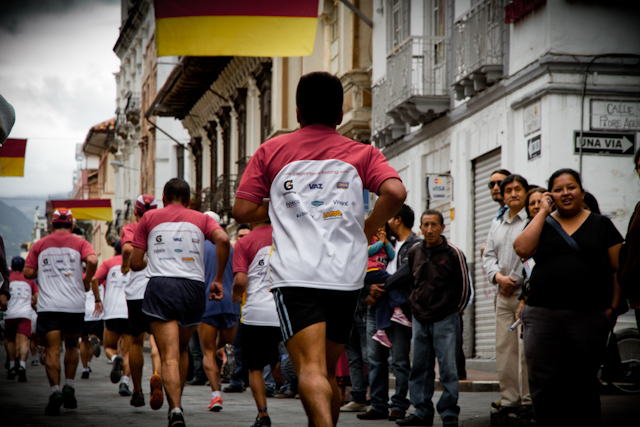 MEDICAL CARE IN CUENCA ECUADOR - and Cuenca's 2013 15K Run!! Being ill in Cuenca is NO FUN! Why? Because you end up missing so much. 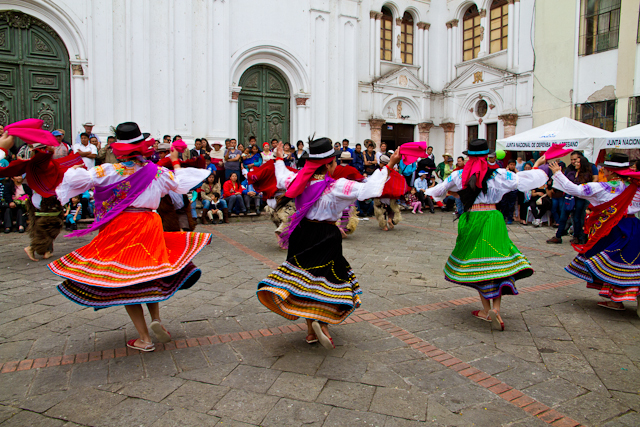 Every day in Cuenca there is something to see and something not to miss! I've had an unfortunate situation with my health lately, and in less than 5 months here, I've been ill three different times (almost as many times as we've moved!!!). This last bout took me down, down, down. I though I was over illness #2, and after a week of feeling great, it hit me again - only now I had a high fever, a hacking debilitating cough, breathing issues, and absolutely no energy to leave my bed. So, it was time to visit the doctor for the first time since living here. There is a wonderful pharmacy around the corner from our apartment. The doctor there (yes, pharmacists here are doctors) speaks English and she is absolutely wonderful and knowledgeable. We have been going to her for our medications and medical advice since we arrived here in December. So she knows us, and she cares about us. Bo went there to see if he could get me a stronger cough medicine, and when he described my continuing symptoms to her, she immediately, without hesitation, told Bo he must take me to see a doctor. Bo said that right there, she phoned a doctor at the Santa Ana Clinic and made me an appointment for exactly one hour later. 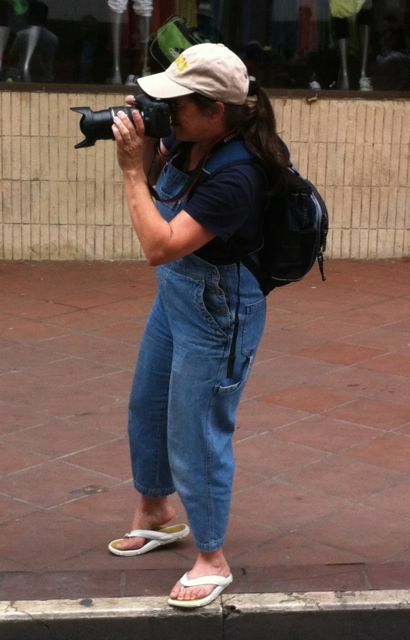 I could barely dress and go down our three flights of stairs. I was so ill, I was ready to do anything and take anything to feel better. When we arrived at the doctor's office, I simply paid $30 for the consultation. No paper work. No questions asked. You just pay the money to the secretary and have a seat. The doctor called me in immediately. No waiting, no going into a room to be seen by a nurse and wait some more. He had us sit at his desk, and he began to ask me a few questions and type them into his computer - name, address, phone, date of birth. Then he got right to it - what were my symptoms? I explained (Oh, this is all in Spanish, of course!) how I had been ill several times since moving to Cuenca, and now I was at my worst. 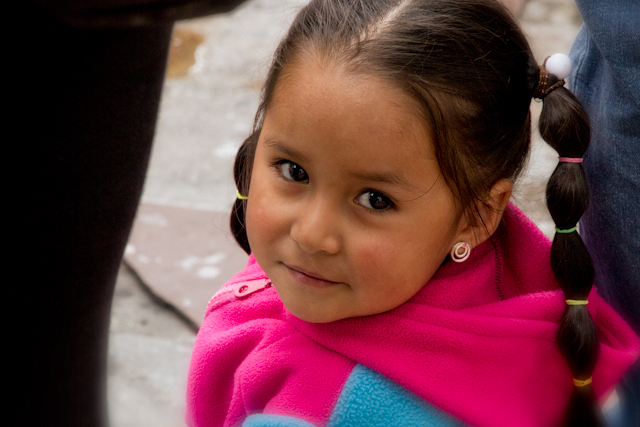 He saw my feeble condition and reached for my hand, smiled and said, "I'm going to help you. I promise you, in less than 48 hours you are going to feel well again." His kindness, promise, and gentle touch assured me I was at the right doctor. Now, Dr. Manolo had me sit at his exam table and began to check my sinuses and listen to my breathing. He immediately diagnosed me with Chronic Rhinitis and Asthma. He ordered a chest x-ray, and Bo walked me around the corner to the facility where I paid $25 and was taken in immediately. Being so ill, the "no waiting" was something I appreciated. I had been instructed to go back home, and then return at 5 pm so Dr. Manolo could do some pulmonary function tests, which he could not do at this time since I had taken a hit from my nebulizer, and he needed several hours for it to wear off. Bummer! I couldn't even imagine going home and then having to do this all over again the same day - but I knew it was necessary to get the medications I needed to fight this illness. This kind doctor said he was so sorry I had to wait and return again, but he promised me once again that he would help me. He told me to call him if I needed anything, and I now had his personal cell number. Doctors here give you their cell #'s, and they invite you to call them anytime! A friend here who recently became ill had his new doctor come to his apartment for a house call. Who does this? Only here in Cuenca. And so we left the office. By the time I returned home and a couple hours went by, I thought I would die. My fever was now up to 103, and I was almost delirious. So, Bo dialed my doctor's cell number and he immediately answered. I could barely talk, and through tears I explained I had a very high fever and needed help NOW, before our 5 pm return. He instructed me to tell Bo to go to the pharmacy and get a certain prescription and take it immediately, which Bo did. I took the prescription, not even knowing what it was, and for the next few hours I slept. Now, If you know me, you'll know that I never take anything, especially Pharma Poison, without first looking it up and finding out what it is. I was now in "trust mode" and would take anything. This is how absolutely crappy and sick I felt. Ahhhh, to sleep away a few hours and not feel the misery. During this time, my doctor called back to check on me. He was so available to me. Bo woke me at 4:15 pm (shoot me now!! ), I slowly dressed, and we were once again in a cab headed for the clinic. At 5:00 pm I checked back in. No charge. Dr. Manolo took me in right away, and quickly did the pulmonary tests. He then wrote me three different prescriptions for antibiotics and my asthma and then sent me on my miserable way. Again, he reassured me that I would feel better by "tomorrow." And so it was! Bo got me home and back in bed, and he went and bought my Big Pharma Poison drugs. I loaded up and then closed my eyes for the next 24 hours. Ahhhh, more sleep. I woke up only long enough to take drugs and drink water. By the next evening, my eyes popped open. I still had a fever, but it was now only 101. Amazing what that 2 degrees can do. I still felt extremely ill and weak, but hopeful. On the third day, my fever finally broke! I continue to take my drugs and today, over one week later, I feel better. I'm still tired and unable to do much in my day, but I know I'm healing. Bo asked my doctor what could be causing my breakdown in my health (I'm always so healthy - really!). Well, it could be the dust that was created in our apartment when they repaired and sanded the damaged floor in one of the bedrooms - and didn't cover up things so there was "polvo" everywhere. Or, it could be the bus fumes, daily climate changes, or altitude (we're at 8,500 feet). Maybe it's just seasonal asthma here. For now, we're not going to try to figure this one out. 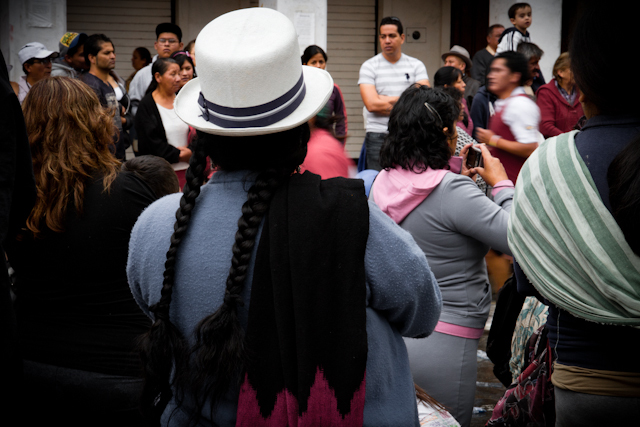 Our hope is that we can continue to live in Cuenca, that I will completely heal this round with all the drugs I'm ingesting, and that this too shall pass - permanently! The cost of my medical care for this round was $155. Every time I went to my allergist back in the USA, the visit alone was written up as an intermediate consult for $225, even though the doctor spent less than 10 minutes with me. His nurse did all the work - writing my history, performing the pulmonary testing, taking my vitals, etc. Then came the drugs. If anyone reading this has asthma, you'll agree that the big pharma drugs for asthma are absolutely unaffordable without medical insurance, unless you're rich! I remember spending hundreds of dollars just for the basic breathing medications. This doctor visit was very affordable in comparison to previous allergy visits in the states. I'm so thankful for this. So, this is my personal experience with my first doctor visit here. I'd heard many positive testimonies from other ex-pats that we've met since being here who have had unfortunate medical issues and were either hospitalized or had to visit a physician. Not one of these testimonies was negative - only positive. The medical care here in Cuenca is 5-star. The final bill is always well below what one would expect, being used to the outrageous cost of medical care in the states. Those of us here who have had to seek health care are truly thankful for this affordable benefit living here. 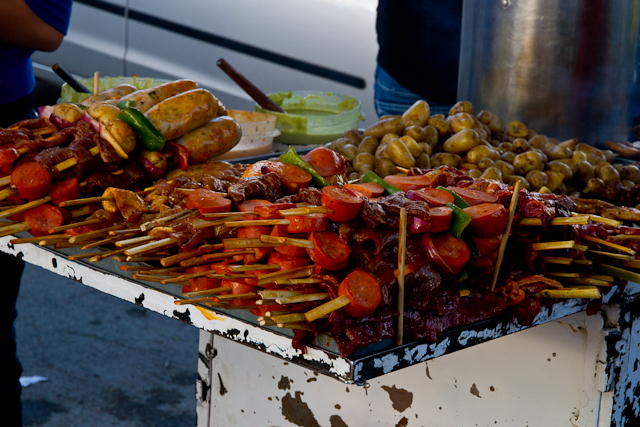 It gives me another reason to say, "What's not to love about Cuenca?" 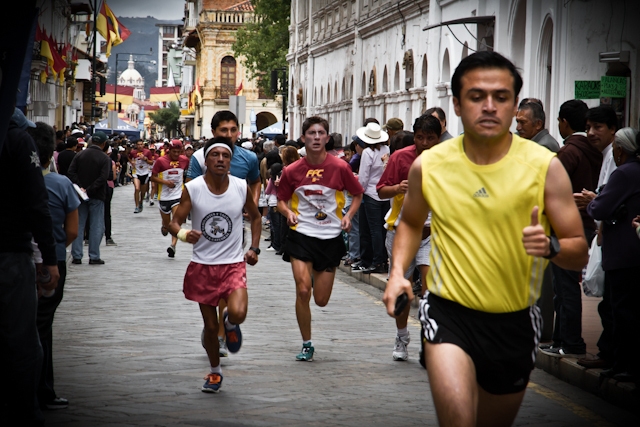 The Sunday morning before I became too ill to wander around my city and capture "life in Cuenca," there was a 15K (9.3 mile) race that attracted over 10,000 participants. I could hear them running early that morning, and I looked from our terrace to see the herd of runners racing down Calle Larga. 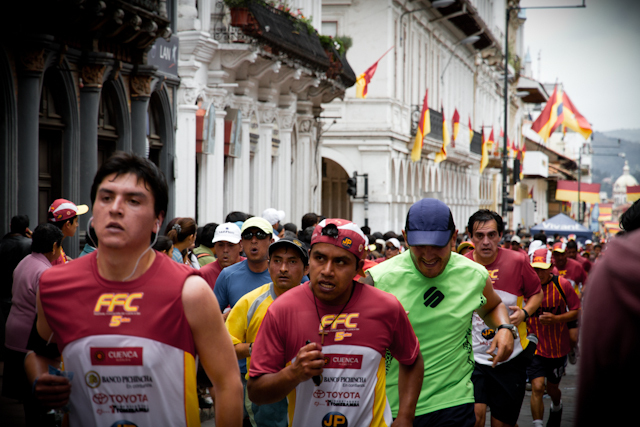 Quickly, I grabbed my camera and headed out the door for Simon Bolivar and Parque Calderon, knowing that was the main "calle" where these athletes would be circling towards. I was right! 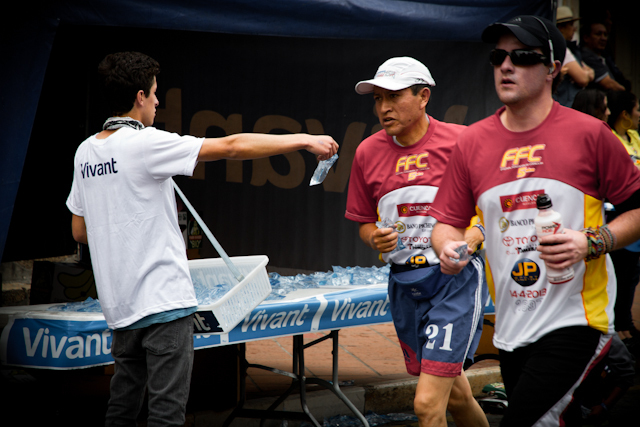 I had the opportunity to capture this yearly race to share with you. 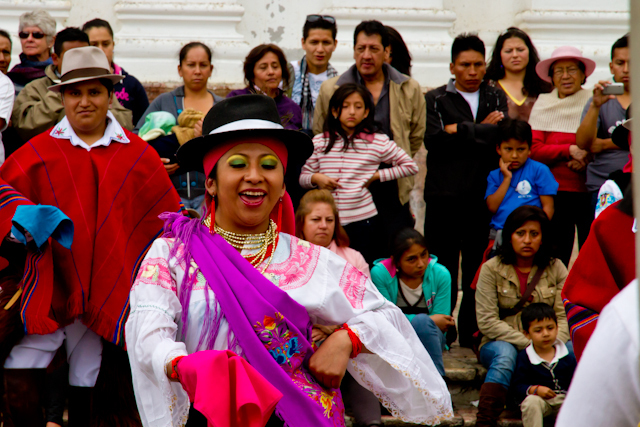 It's always my joy to bring our readers photos of Cuenca's weekly events. 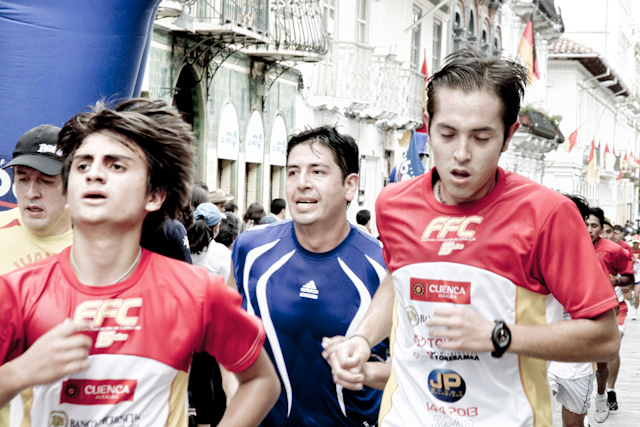 I love the fact that Cuenca is a city with extraordinary talent and incredible athletes. So, enjoy! 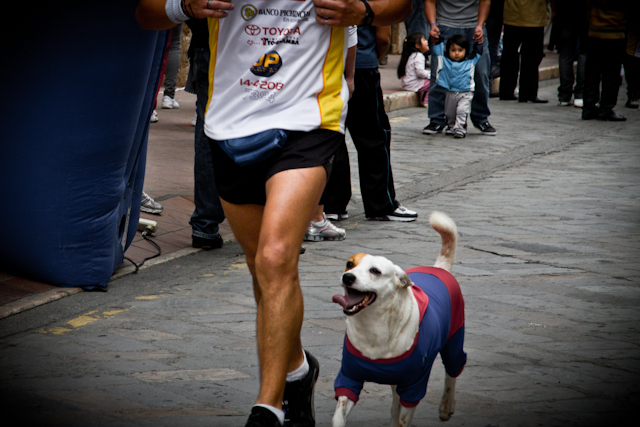 Simon Bolivar is crowded with 15K runners and cheering fans! 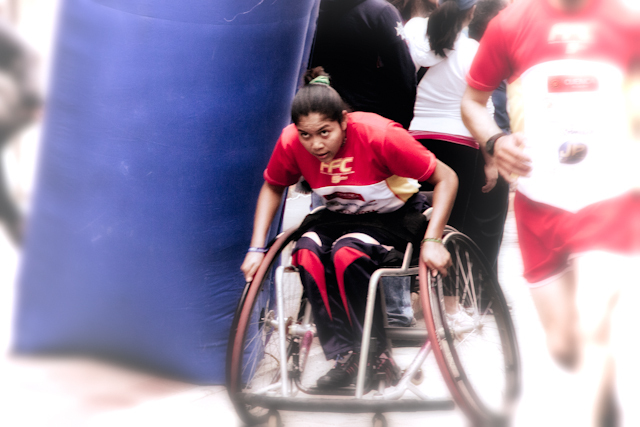 Expressions of determination, pain, and perseverance forever captured! Someone will be getting flowers! 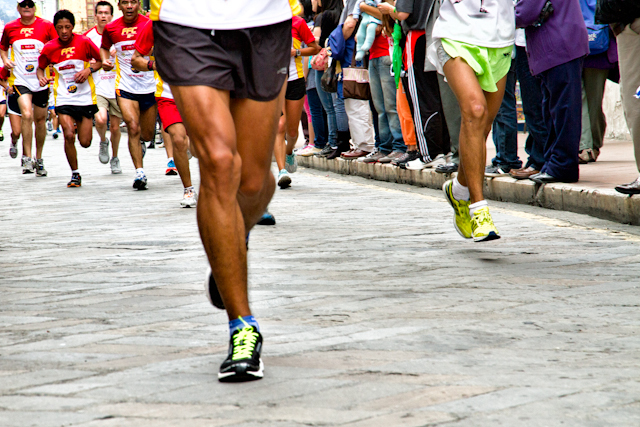 Over 10,000 runners participated in this years 10K race. Already a winner - determined and focused! 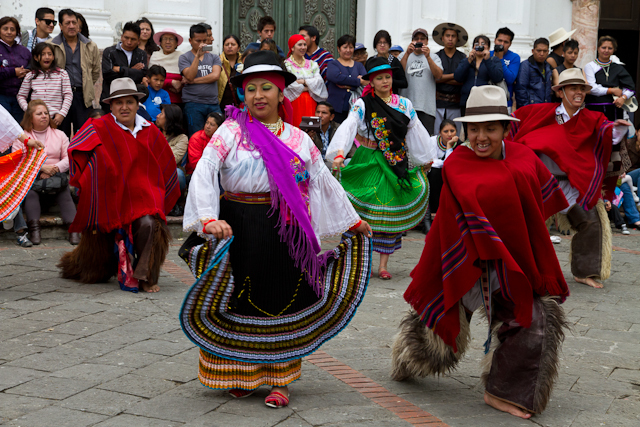 ART IN ECUADOR - CUENCA'S 12 DE ABRIL ART FESTIVAL 2013 - Music, Dancing, Arts, FUN!!! 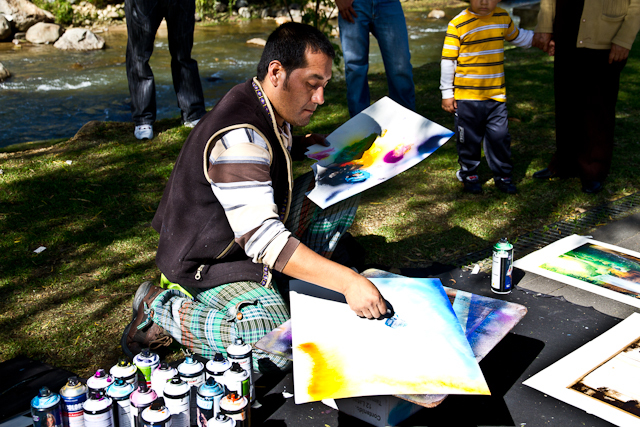 One of the major charms and attractions of Cuenca for Bo and me is the continual cultural celebrations and this city's love for fine arts. 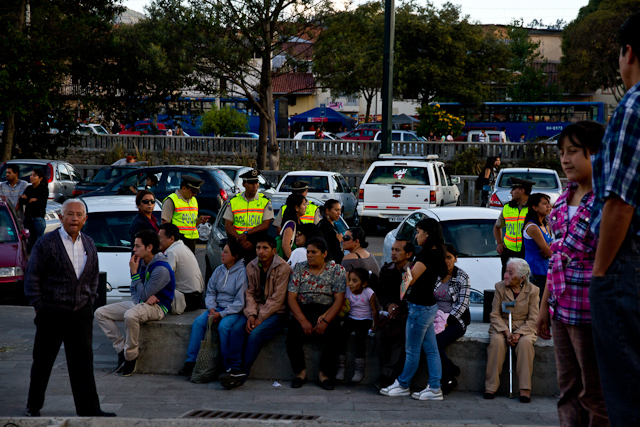 We had such a wonderful three-day weekend, daily and nightly walking along 12 de Abril during this vibrant Arts Festival, admiring so much amazing talent and unique art from Ecuador, Peru, and other areas of South America. 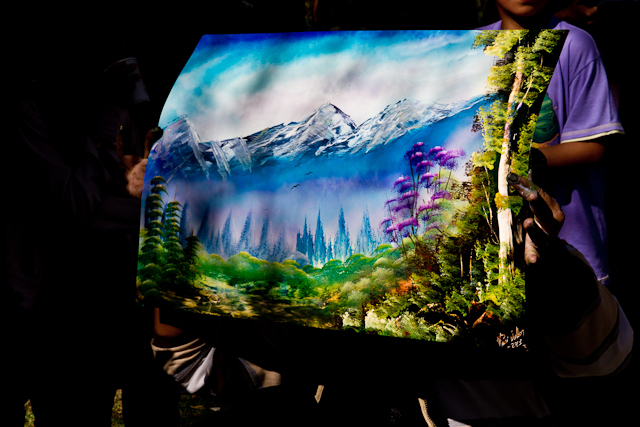 There were more crafts than true fine art, but those truly gifted vendors with an undeniable artistic talent stood out and continually caught our searching eyes. It took us hours and days of walking and looking and admiring before we finally decided on a few pieces we would consider buying for our unfurnished apartment. Negotiating here is not difficult for me because I speak Spanish. 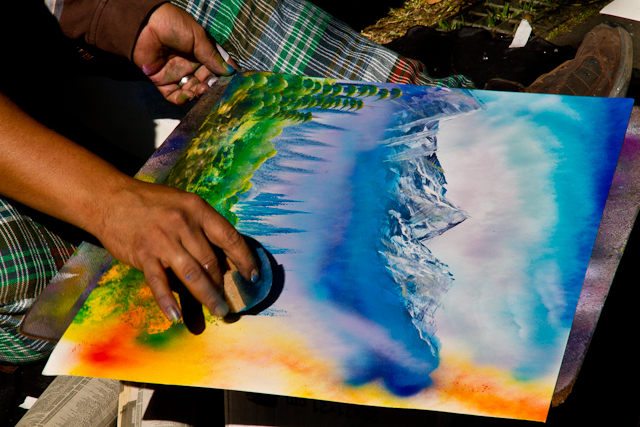 Also, I was once an art vendor myself, so I am always sensitive to making sure I do not negotiate unfairly. Bo and I aren't interested in getting the lowest price from an artist because we would not want to take away the true value of their originality, gift and talent, and self-esteem. Art is a very personal thing! 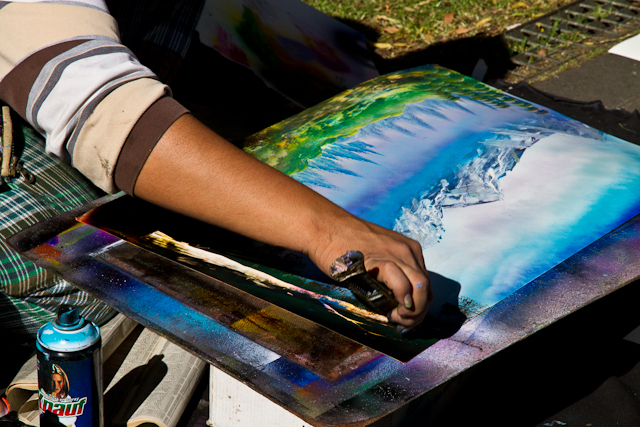 Whatever value an artist puts on their work is because they believe that is what it is worth to them. Most artists don't ever get compensated for their time and talent. By Art Festival day three, near the end of that last day, we knew we would be able to walk away with some beautiful pieces at a great but fair price, and the artist would also be pleased with their sale from us. And so it was! 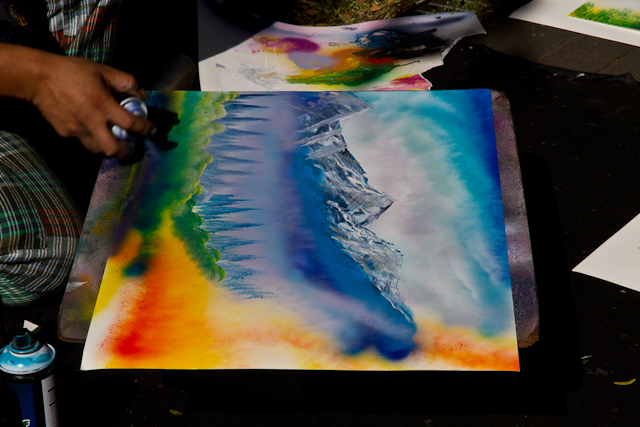 We met four very talented individuals whom we kept returning to over the course of the show, and the last day we spent a considerable time admiring their work and having them invite us to make them an offer. By the end of our art show purchases they were pleased and so were we. We were thrilled with our beautiful art purchases as we carried them home!! Now, we cannot wait until our painting is done, a few other improvements are made and furniture pieces are discovered and purchased, and we then figure out exactly where these unique and colorful pieces will hang for many who enter our home to admire! 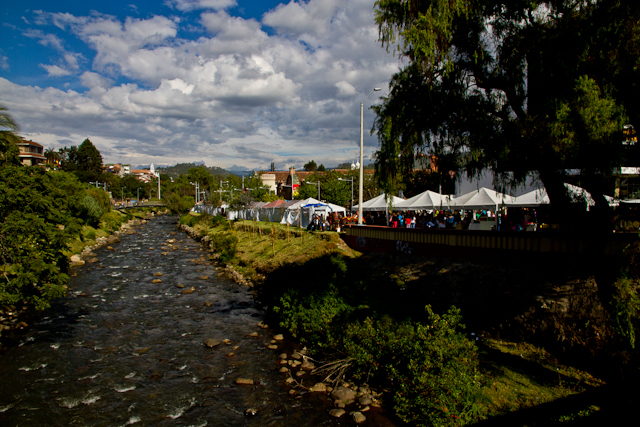 It was a beautiful warm and sunny day one at the Art show as we walked and admired the various vendors wares under the tents lining the Tomebamba River. ......and his masterpiece is quickly SOLD! 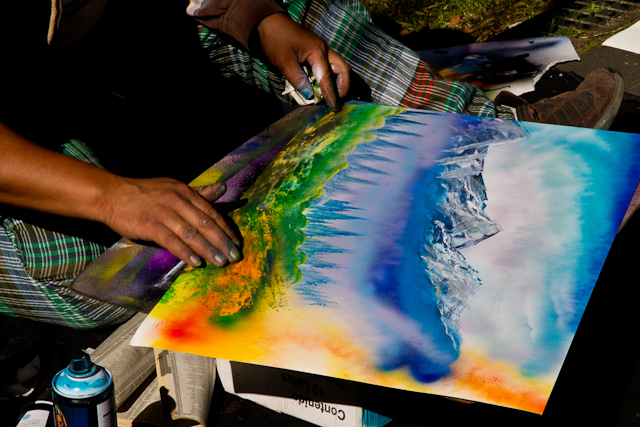 His skill is beyond words, and his art pieces were selling for $10 or less. Even the most modern condos here have bare light bulbs hanging from the ceilings. 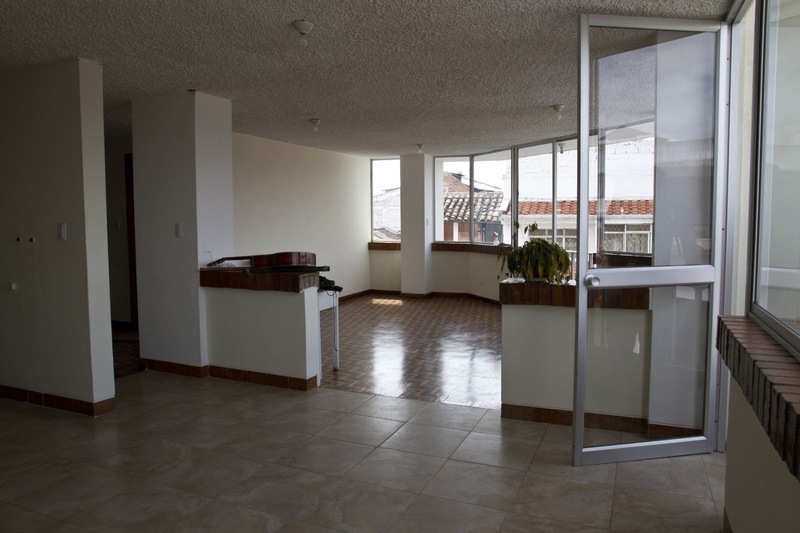 Our Ecuadorian apartment had over eleven bare ceiling bulbs that needed inexpensive but fun artsy coverings. 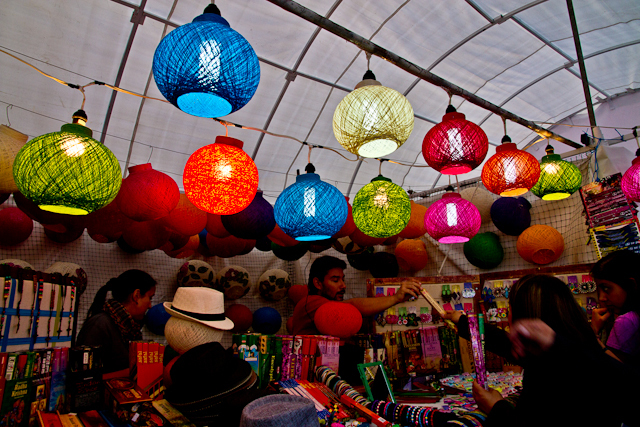 When we saw this vendor's beautiful colorful lanterns, it was our answer. She sold them for $5 to $9 each, depending on the size and style. Now our apartment looks magical at night when the lights are on! 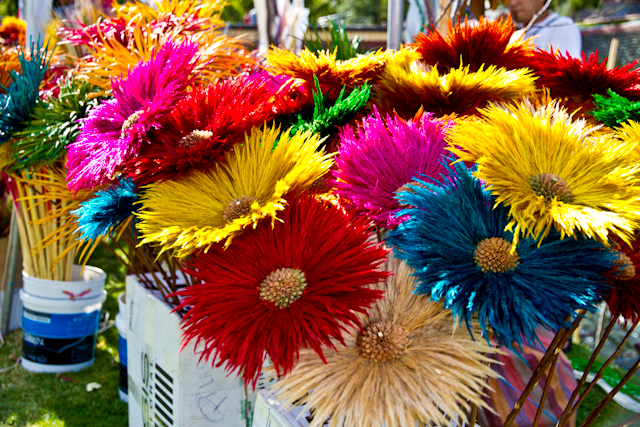 One vendor was selling the most beautiful fun and colorful artificial flowers. 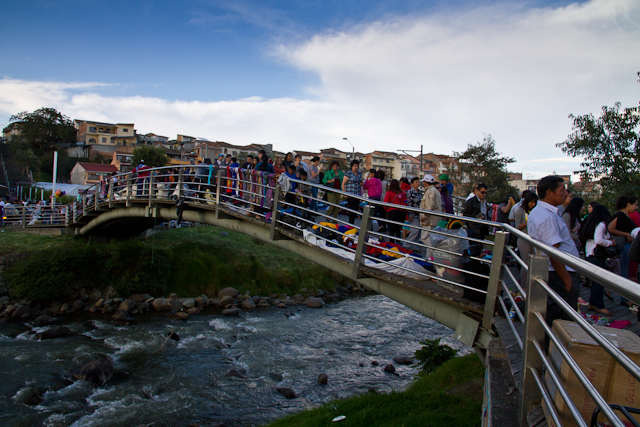 .......and so many vendors along both sides of this bridge, that crowds of people were slowly pushing their way through to get from one side of the river to the other! 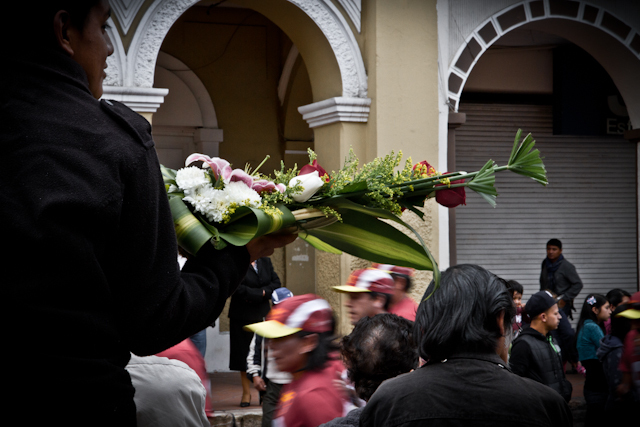 In town, there were many other festivities taking place. 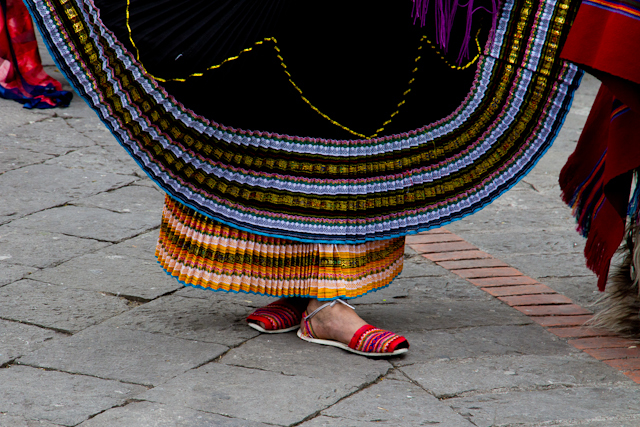 One of my favorite things to watch were these beautiful and colorful dancers twirling to their traditiional upbeat latin music. The finale - and an inspiring applaud from the cheering crowds! 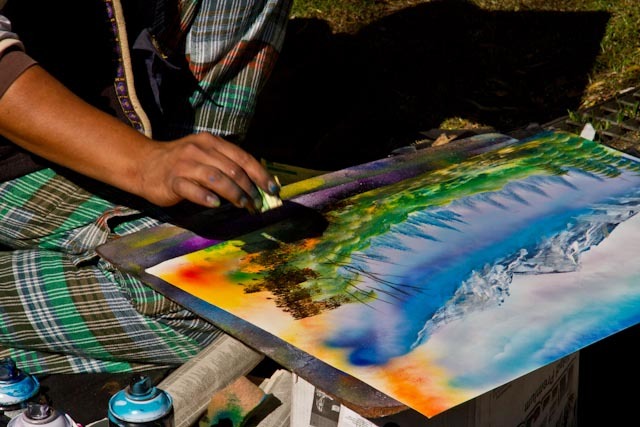 We look forward to early November when Cuenca will present another three days of these wonderfully talented artists and energetic entertainers and we will once again have another opportunity to view and admire and purchase their art. 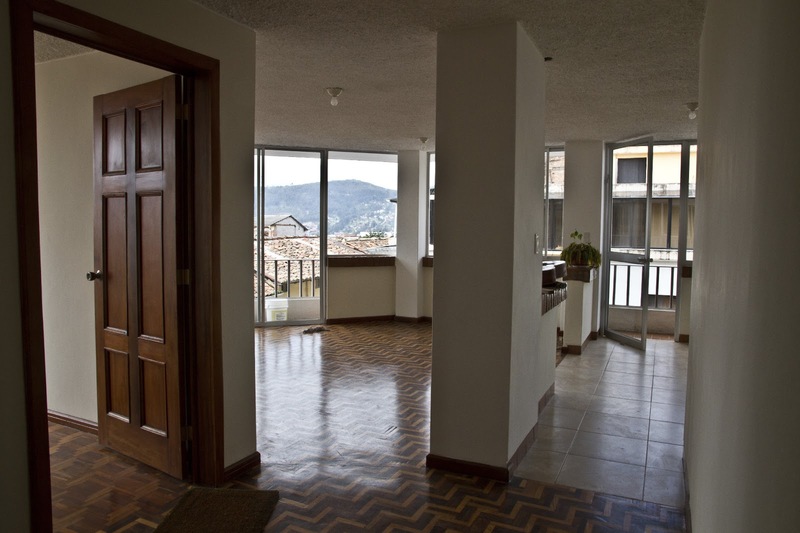 BUYING FURNITURE AND APPLIANCES IN CUENCA - Apartment #5 Update - AND MORE!! 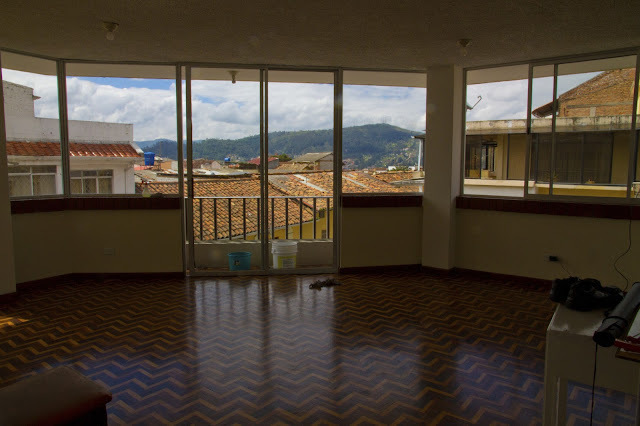 It's been two weeks since we found our small unfurnished Ecuadorian apartment, moved in, shopped and bought furnishings , and we continue now in what will be a long and carefully and frugally planned out process of making our Ecuadorian flat "our home." During this move I came down with a flu/bronchial infection, and the timing for that was not helpful. Because I couldn't just lounge in a place with furniture and appliances and sip hot tea and chicken soup for a few days, all the necessary activity and stress to move and get out of apartment #4 seemed to delay my healing process. Not good!! After two long weeks of no energy, today I feel my energetic self, and for this I am grateful. I am sitting in our partially furnished and comfortable living room listening to the buses zooming by, car alarms going off, taxis and cars honking, market and vendor activity noise along the street below, while admiring the beautiful white majestic clouds and blue skies this warm and beautiful morning. We have much to be thankful for. All our needs are being met, we continue to meet wonderful people every day, and we both are enjoying being in a flat that has WINDOWS all around us. 1 - CLEANING DEPOSIT - When we moved into Apartment #4, we had to pay a $500 deposit which we were told was refundable, providing we left things in the condition in which we received it. That was not going to be difficult to accomplish since our landlady did not have the apartment cleaned when we moved in, promising she would send her hired cleaner later that afternoon. She wanted us out of apartment #3 (in the same building) because she had quickly rented it and now wanted to get that one cleaned for the soon-to-arrive new renters. Well, to make a long story short (oh how long these stories can be), her cleaner never showed up for us. So, we transferred into a dirty apartment with no clean bedding or towels, and guess who cleaned for two days? Bo and I just did what we had to do and graciously moved on. So, fast forward! Here we were, ready to move out end of March to Apartment #5, and we thoughtfully gave our landlady written notice reminding her we needed our $500 deposit back before we exited. A couple days later I received a phone call from our landlady ordering us to be out of our paid for apartment two days early on the 29th because it would take that much time to get it cleaned and ready for the next tenants coming in on April 1st. I informed her that we would not be doing that because we were paid up through midnight of March 31st and we also needed our deposit back before we left. She lit up on me and began to scream in Spanish (these are times I wish I didn't speak or understand the language) telling me we had to leave now because she had someone coming in and it was the law! I finally had to tell her to stop screaming at me and to be quiet so I could talk. Of course I knew she was trying to bully me, so I firmly stated, "We will not be leaving until March 31st, and if we do not receive our deposit back, we will be staying another month (which would have worked out just fine for us because it would give us a month to get our new place painted, furnished, and move-in ready), and then I hung up on her when she began screaming again. Bo ended up e-mailing her son (who speaks English) and told him that from now on we would not be communicating with his mother because of her bullying tactics, and if they wanted us out by the end of the month he had to bring us the refundable deposit. In the end, we did receive our deposit back on Sunday the 31st, by the son, and we were out by 4 pm, giving them enough time to get it ready for the new renters. We were both surprised that our landlady turned on us the way she did since we consider ourselves excellent renters to have, but we are thankful that we did not buckle under her bullying and lies. The apartment we are now in did not require a cleaning deposit. Friends of ours who are also renting told us that they were required to pay a $250 cleaning deposit, but they negotiated that down to $100. Other friends rented an apartment that required a $750 deposit, and they received back $430 of it several months later, after many e-mails back and forth trying to reason with their former landlord that the things he told them were not left in the condition in which they received the apartment were already not working. All this to say, renting is a new journey for us. I have owned a home since I was 20 years young. 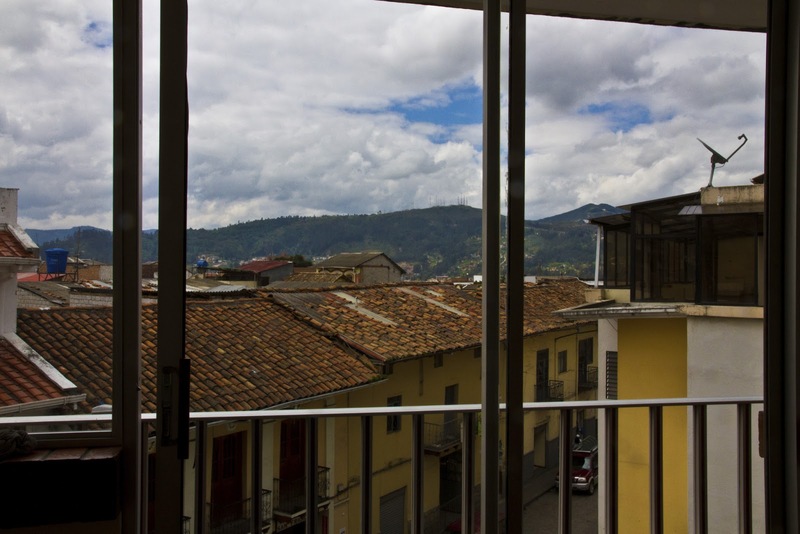 Renting in another country where everything is different, including the language and communication barrier, makes things even more complicated. We are thankful to be in a different apartment with a different landlord and no cleaning deposit to fight for. 2 - APPLIANCES - When we purchased our appliances, we were promised by Mr. Salesman-Of-My-Word that our appliances would be delivered that evening. I reiterated three different times and ways what he was promising us, and he assured me he was a man of my word," and I believed him (which is why Bo calls me Polly - short for Pollyanna). Well, by 8 pm that evening we received a phone call from a woman informing us that they were not going to be able to deliver the appliances because of some confusion. No longer "Polly," I told her this was not acceptable since we were promised an evening delivery and if the appliances did not arrive tonight we would be expecting a complete refund the following day when we visited their store. She quickly told me she would see what she could do. At 9:30 pm, Mr. Salesman-Of-My-Word showed up with one of the store honchos and our stove, but no refrigerator and lots of excuses. I proceeded to tell them that I would not be recommending their store to any of the many ex-pats I already knew or continue to meet because they did not keep their word to me. They continued to explain that there was a mix-up and they could bring the refrigerator the following day - what time? They also told us that they would bring the stove's propane tank hook up and install it free of charge as their way of making things right. I told them they had to come at 8:30 am because we had other appointments throughout the day (assuming they would be at least 2 hours later). The next day, at 8:00 am, they promptly arrived with our refrigerator and also hooked up our stove to working order. Mr. Salesman-Of-My-Word apologized for all the inconvenience and we shook hands and they parted ways. Though I will not be recommending this appliance store to anyone, I do feel they did their best to make things right - and in the end, we love these quality appliances we purchased from them. 3 - FURNITURE - Bo and I visited every furniture store in El Centro looking for comfortable and inexpensive furniture, but to no avail. We took a bus and went out to the industrial area of Cuenca after hearing that we could surely find something there, but still nothing. We were both of the mindset that we would find something eventually that we would both see and say, "This is it!" Since we have always had the same taste in home decor, I figured this would be an easy task. Yes, we could have designed what we wanted and had it custom made, but this wasn't a route we wanted to take. For us, it's keeping it simple: finding what we like, purchasing it, and having it delivered now! In the end, we couldn't find anything that we liked or would work in our rectangular-shaped living room, so we finally gave up looking just to take a break. I never thought I would dislike shopping so much or say, "I'm done looking!" Feeling ill, having to walk everywhere or ride the bus, and not being able to relate to the Ecuadorian style of furniture left us both drained and discouraged. There are ex-pats who have plenty of money in their pockets to go out and buy whatever they want. Then, there are ex-pats like us, a couple purposing to live here budget-conscious, frugally, and buying things to meet our needs not our wants. We've already lived the lifestyle of "wants" for years - having everything we want. When we left the USA to live in Ecuador, it was to simplify our lives and not live the same. Well, after a few days of NO SHOPPING rest, we got together with an ex-pat couple who have become special friends of ours. They, too, had recently rented an unfurnished place, and because they cannot speak any Spanish, they asked me if I would go with them to look for bedding and furniture and help them communicate with the shop people. After they made their bedding purchase, they took Bo and me to a 5 story furniture store in El Centro where we spent several hours together looking at EVERYTHING! It was here that Bo and I both decided on our living room set. Is it something I would have bought in Oregon? No! But, when we saw it, we knew it was right for our Ecuadorian flat. We also found a fabulous wardrobe for our bedroom, since none of the bedrooms in our apartment have closets. Our friends also found their living room set. Our salesman was a delight, and he was also delighted to have a double sale. He brought us chocolates and wine while we sat and made our deals. It truly was a wonderful memory for all of us. 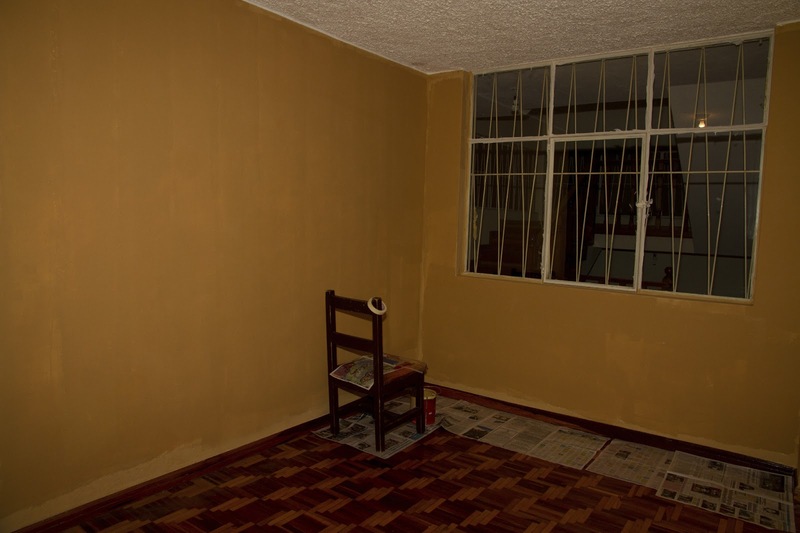 That evening, just as promised, our furniture was delivered. When two delivery people arrived in a mini-truck with a 5 piece living room set and a three piece huge wardrobe tied to the bed, Bo and I were laughing and in awe as we looked over our terrace below. This was enough furniture to fill a moving truck - but not here in Ecuador. Nothing was scratched or damaged, and our salesman who never does deliveries) was one of the two delivery guys because they only had one delivery person available and he said "I gave you my word I'd have it here tonight." These two guys humped this furniture in 7 or 8 trips up four flights of stairs, and they were sweating and got a real workout. Our salesman's integrity and promptness to deliver our goods was a nice ending to a long and discouraging furniture hunt. We love our living room set and are now enjoying the simple comforts of home that so many people take for granted. I would recommend this salesman and furniture store to anyone in a heartbeat, and Bo and I plan to return to this store when we're ready to buy more furniture. 4 - PAINTING - We paid our Apartment #5 rent on the 26th of March so we would have time to get it painted before moving in. We do not do white walls, and every wall in this apartment was WHITE!! El Maestro painter met with us and told us he and his helper could come that Saturday at 7 am and have most of the rooms painted that day. On Saturday, Bo was at the apartment at 7 am, and El Maestro painter arrived alone at 8 am to meet with Bo (after Bo called me on my sickbed and told me to call him), then said he was stepping out first for a cup of coffee and never returned. Who does this? Because I was so ill and in bed both Friday and Saturday, my Bo had to take on the task of painting all alone since we would be moving in Sunday. 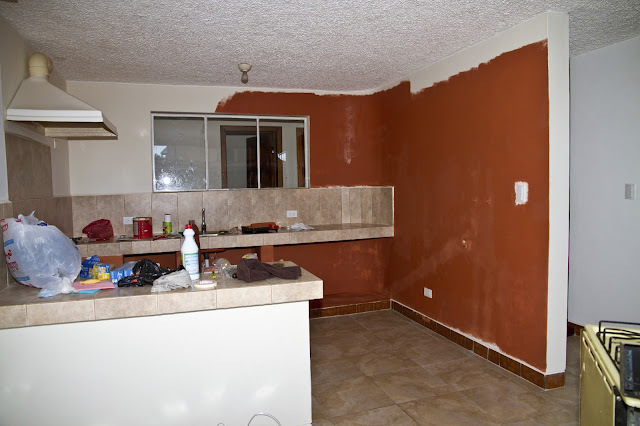 He painted over 12 hours on Saturday and made a small dent in our 3 bedroom apartment (oh, how he hurt the next day). On Sunday, I crawled out of bed and began to pack our suitcases, and only by the grace of God and help from our neighbor friends did we get everything moved into our partially painted flat with only a bed to sleep in. El Maestro painter did show up during the week to do some other work on the apartment for our landlord, but never a word was spoken as to why he disappeared. Some things are best left alone! To date, our apartment is two-thirds painted. The colors are vibrant, rich, and earthy. Bo and I never looked for another painter. We continued the project ourselves, and on Sunday, five of our Ecuadorian friends stopped in at different times - three of them taking on the task of helping us paint. So, once again, with a lot of help from our friends, we continue to accomplish the things that need to get done. For now, life is sweet, slow-paced, and once again we are a bit settled in. I'm now looking for a reliable handyperson who can install curtain rod tubing along our ceiling so I can have curtains made and we can have a sense of privacy. One task at a time, one day at a time. Always hoping for reliable and efficient help. 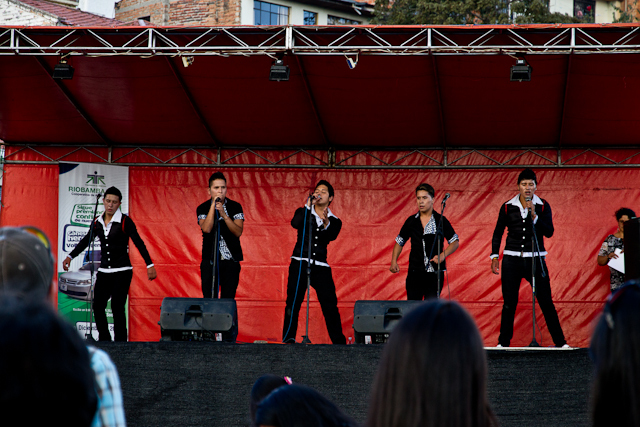 This is how we are learning to live our new life in Cuenca. 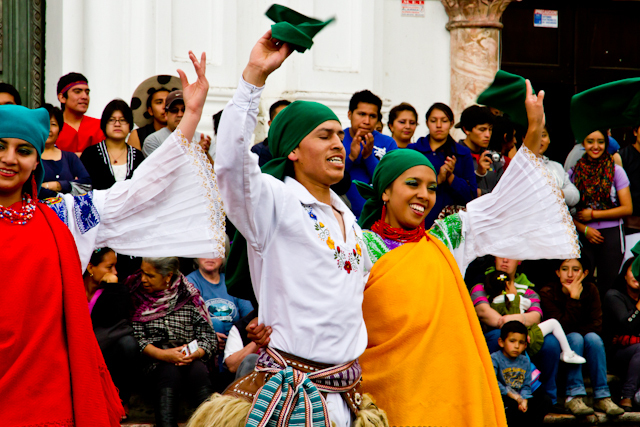 Yes, We still love Living in Cuenca! White walls have got to go!